Rumour No. 1: I was wondering how long it would take for these rumours to emerge – Liverpool are said to be preparing an summer offer for Bolton’s highly-rated winger Lee Chung-Yong. The Korean has been in fine form this season with his guile and trickery having caught the eye of a fair few Premier League managers – but it is Rafa Benitez who will be first to test Bolton’s resolve to keep Lee by testing the waters with an £8 million bid. Rumour No. 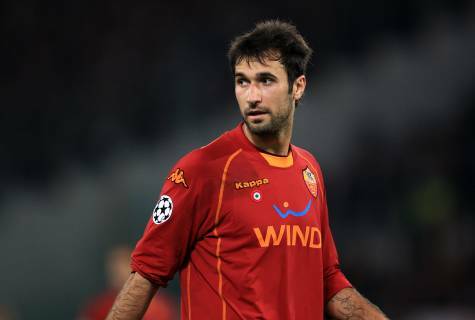 2: Manchester City and Manchester United may spark a city-wide bidding war for Roma striker Mirko Vucinic in the summer as both clubs are ready to offer upwards of £24 million for the 26-year-old Montenegrin hitman. Arsenal boss Arsene Wenger is also said to be a fan of Vucinic but the two Manchester team’s financial clout will more than likely price The Gunners out of the race before they enter it. The Best of the Rest: Staying with Man City for a moment, veteran midfielder Patrick Vieira has revealed he would like to remain at Eastlands next season. Also, City are to go head-to-head with Chelsea to sign Bari’s highly-rated 22-year-old defender Leonardo Bonucci. CSKA Moscow’s 19-year-old starlet Alan Dzagoev has admitted that he would consider a move to Chelsea as they are ‘one of his favourite clubs’. Palermo have admitted to being keen to sign West Ham midfielder Valon Behrami, but have also insisted that no transfer talks have been held. Blackburn Rovers are targeting Estudiantes £6-million-rated striker Mauro Boselli. Bolton boss Owen Coyle will attempt to sign Burnley defender Clark Carlisle on a free in the summer. QPR manager Neil Warnock has been handed funds to bring in nine new players in the summer and will raid his old club Crystal Palace for Julian Speroni, Darren Ambrose and Neil Danns amongst others. West Brom are preparing a move for KRC Genk’s Israeli forward Elyaniv Barda.